The Somali-based terrorist group Al-Shabab suggested that allies in the west target the Mall of America in a video released over the weekend. 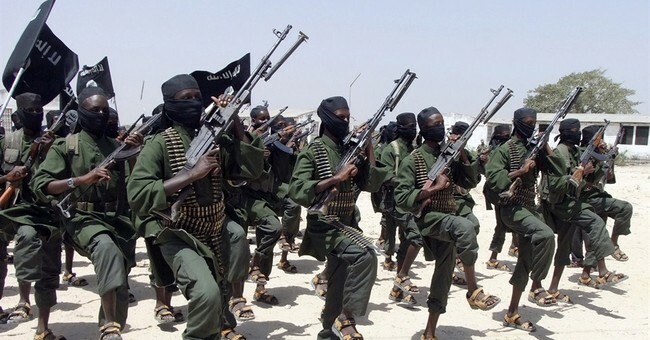 The video showed graphic images of the group’s attack on the Westgate Mall in Nairobi, Kenya in 2013, and encouraged supporters to "hurry up, hasten towards heaven and do not hesitate” to carry out similar attacks in the U.S., Canada and the U.K.
“If just a handful of mujahideen fighters could bring Kenya to a complete standstill for nearly a week, imagine what a dedicated mujahideen in the West could do to the American or Jewish-owned shopping centers across the world,” an unidentified man says with his head wrapped in a black and white keffiyeh on the video. “What if such an attack was to occur in the Mall of America in Minnesota? Or the West Edmonton Mall in Canada? Or in London's Oxford Street?” the man continued. American security authorities are skeptical that the Al-Qaeda-affiliated group has the resources or the support to carry out such attacks. While the Mall of America has heightened security in response to the threat, the weekend seemed normal for shoppers. “I’m more afraid of the cold today than any terrorists,” Mary Lamminen of St. Paul told the Minneapolis Star Tribune while at the mall. The area experienced sub-zero temperatures well into Sunday. The Department of Homeland Security announced that it is not aware of any “credible threat” to national security due to the video. Despite this, Homeland Security Secretary Jeh Johnson expressed Sunday that vigilance is necessary across the country in combating terror threats. Amid these threats, the Department of Homeland Security is slated to shut down if a funding bill (H.R. 240) does not pass by this Friday. Senate Majority Leader Mitch McConnell (R-KY) will try a fourth time today to advance the spending bill that also requires President Obama to abandon his executive action on immigration announced last November. The bill has already passed the House, but the immigration provision has so far prevented its passage in the Senate, and has drawn extensive criticism. Last Friday, less than 24 hours before Al-Shabab released the video, a suicide bomber from the militant group attacked a large hotel in Mogadishu, Somalia, with a car bomb killing at least 25 people.